Over 2 days we converted an old Aga boiler and cylinder in Langley Vale near Epsom Downs to an up to date Worcester 30Si combination boiler and all new pipe work throughout. 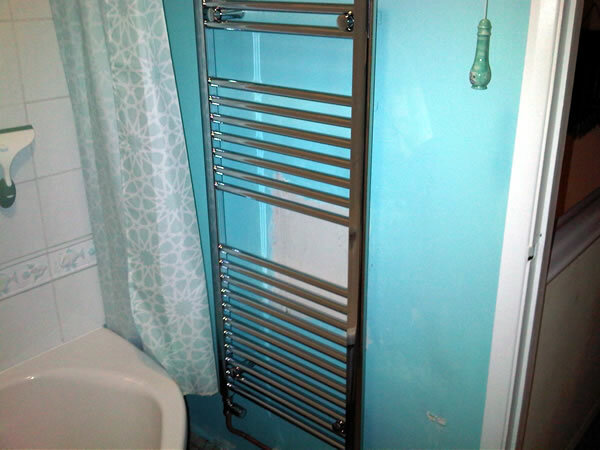 The customer wanted to save some money at the time as they had recently bought the property so decided to re-use some of the existing radiators but we also installed 5 new radiators in new location and thermostatic valves. 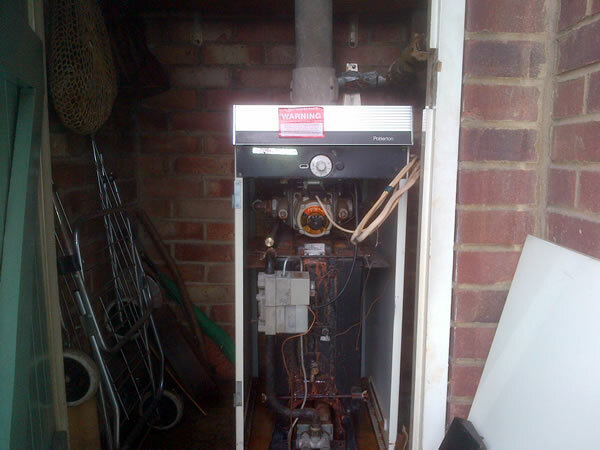 A 37year old boiler in Redhill/Reigate area, the customer had finally had enough of the boiler breaking down every winter and thought it was a good idea to invest in a new Vaillant boiler and a fully pumped system and hot water cylinder. 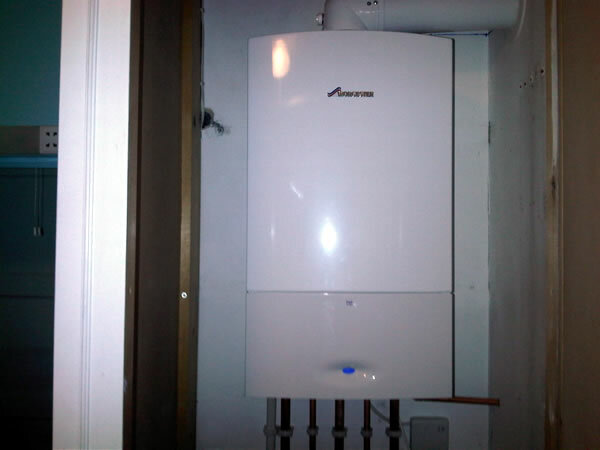 The system was thoroughly Power flushed and a magnetic system filter added in the boiler house. 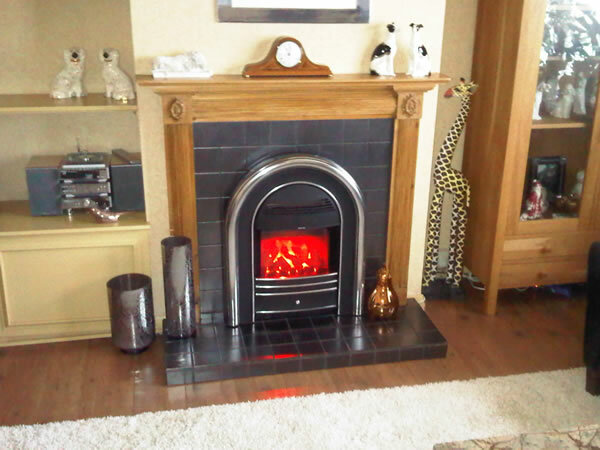 The customer was extremely happy to have heating again and gave us great comments. 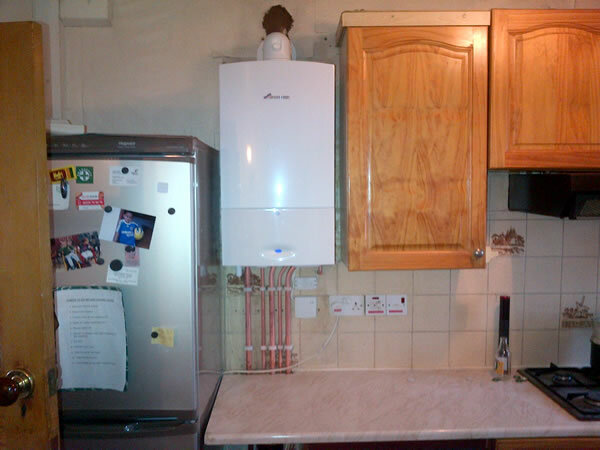 Here is a Worcester 30Cdi combination boiler that we installed for a customer in Worcester Park. They have had a huge amount of building work done including a brand new kitchen/diner area and thought it would be a good idea to have a new boiler fitted whilst it was going on. From the new kitchen plans we worked out exactly where the boiler cupboard was going and installed the boiler and made use of the void below for all the pipe work and controls that was made easily accessible from the back of a cupboard. Mint heating and plumbing got called to a property in Horsham just outside Dorking where a regular customer of ours was having a lot of building work done. 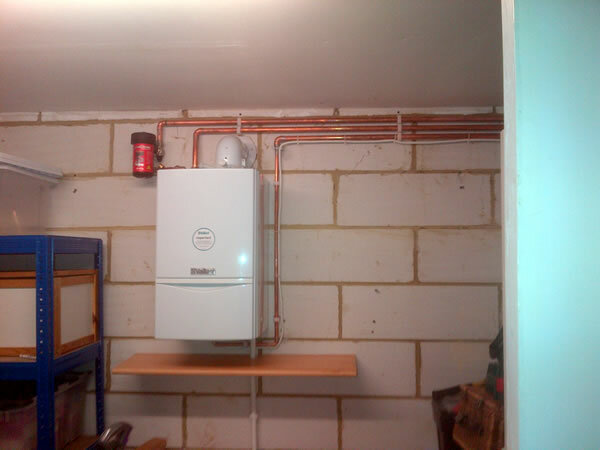 We removed the existing boiler and installed a Vaillant conventional boiler in the garage and updated the system with a new powerful central heating pump and controls. They were very happy to come home from their holiday with everything up and running without any signs of us being there. We have an extremely good reputation which gives our customers huge trust in us to be left alone to do the work. Installation of a new Worcester Bosch 25Si combination boiler in Banstead, new chrome towel rail and close coupled toilet plus carried out a full system Power flush on the central heating. 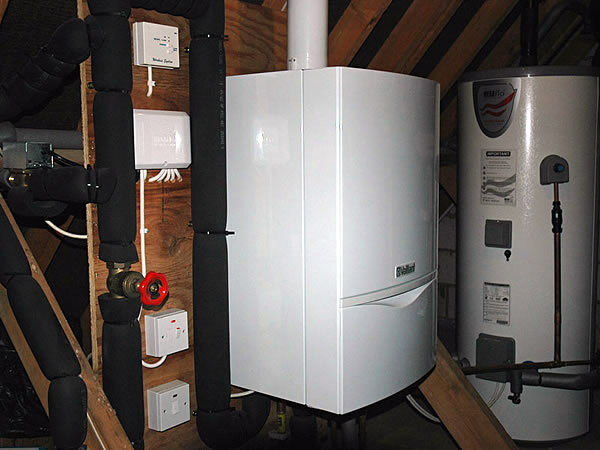 The boiler was installed on a very clean heating system after the flush and was also fitted with a magnetic system filter to protect it from future corrosion and debris. 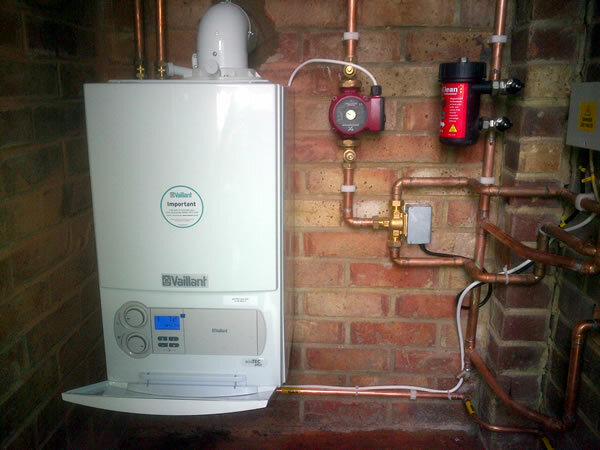 Conventional Vaillant boiler with a magnetic system filter and a new central heating programmer. 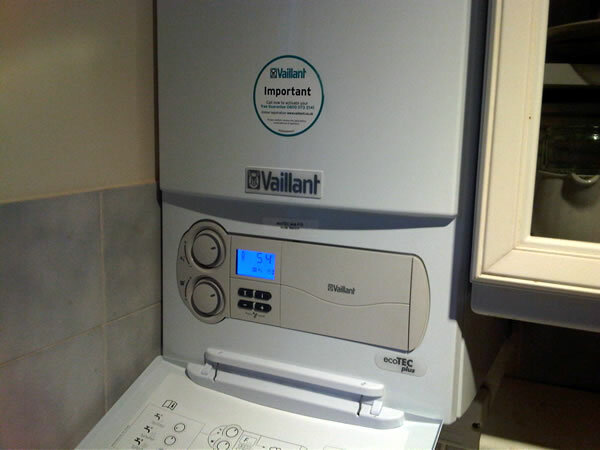 The perfect choice of boiler for small spaces. Installed in Thames Ditton. 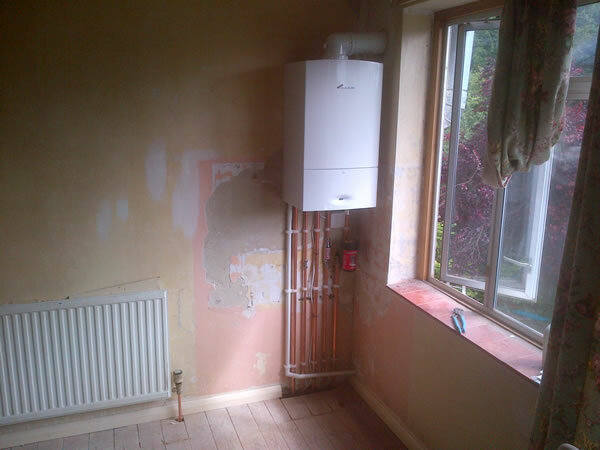 Worcester Bosch 25SI Combination boiler, installed in a cupboard off the hallway that replaced an old Gravity hot water system. 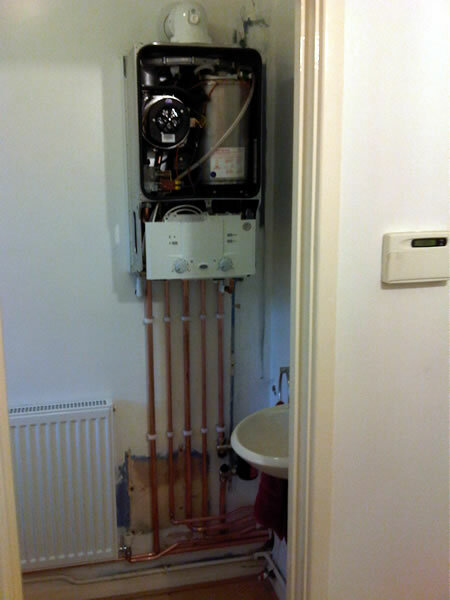 Power Flushed heating system & a Magnaclean magnetic system filter underneath boiler. Next to the boiler on the left is the receiver for the Wireless Programmer and room thermostat. 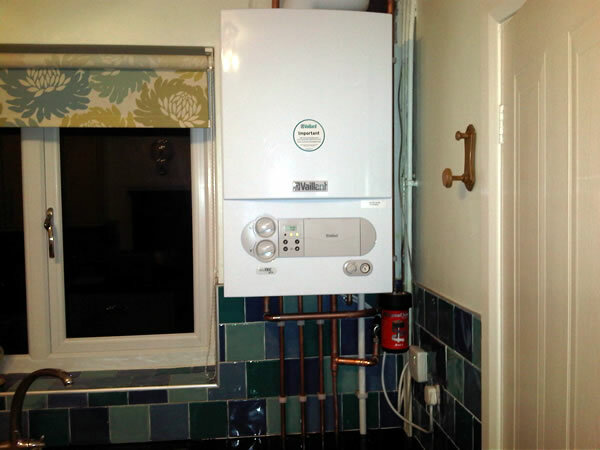 Installed in Sutton A customer from East Dulwich had a very old, inefficient boiler system that never heated up as it should, with a very noisy, leaky shower pump & hot water cylinder. 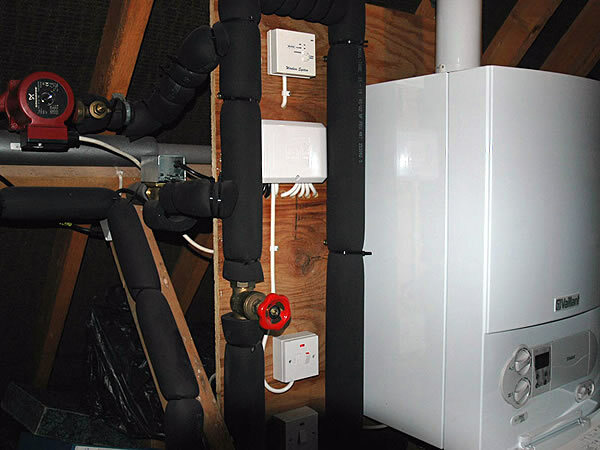 We converted the system to a combination boiler system with mains pressure hot water which is fantastic for bathroom facilities. They were amazed with increased storage space in the loft and airing cupboard. 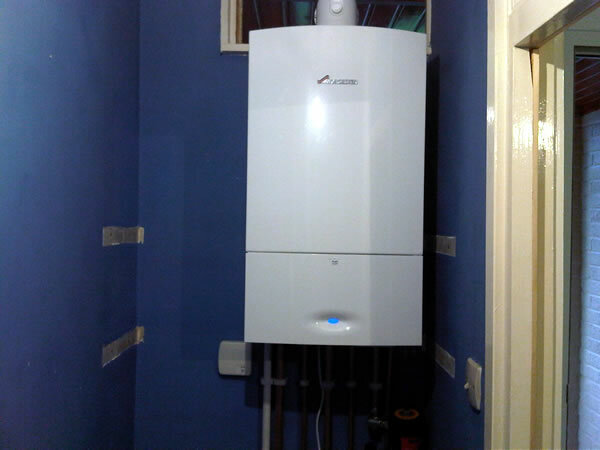 Worcester Bosch 30si combination boiler installed in a downstairs cloakroom in Kingston with new radiators & pipe work through the house. System was flushed on completion, was installed with a magnetic system filter & the customer was extremely happy with the end result. 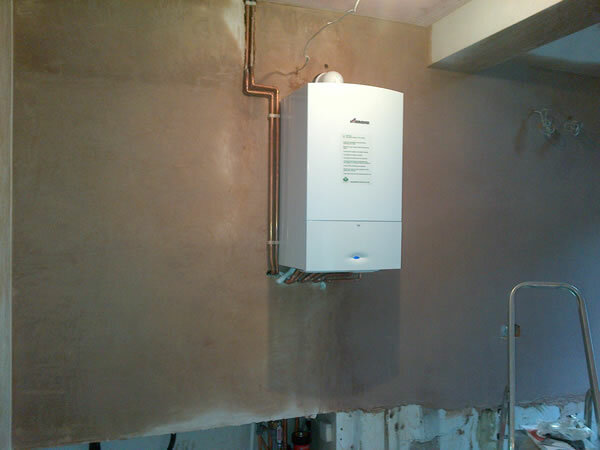 Here we have another one of our boiler installations in Sutton. 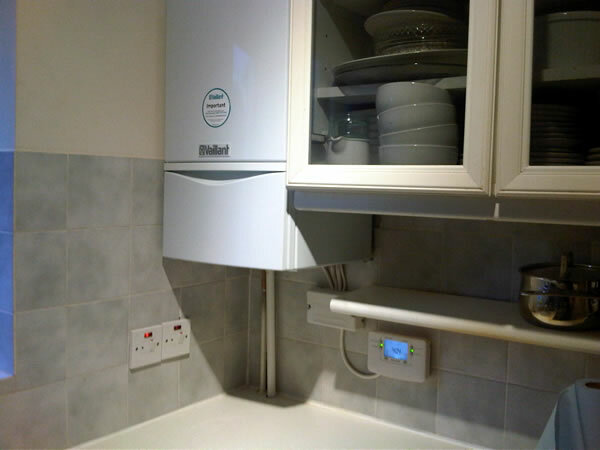 An efficient Vaillant boiler with magnetic system filter, a great choice and can be easily put inside a kitchen cupboard when they come to do the kitchen. 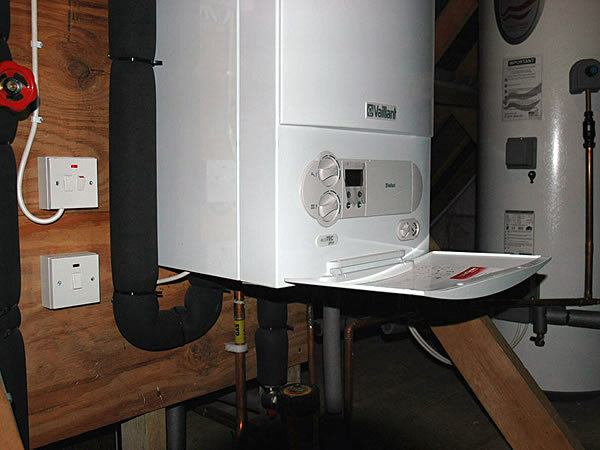 Vaillant Ecotec Plus 637 System boiler installed in a loft with a 35mm copper manifold, 210litre Megaflo hot water cylinder, pressurised heating system that has been Power Flushed by our Kamco trained engineers. 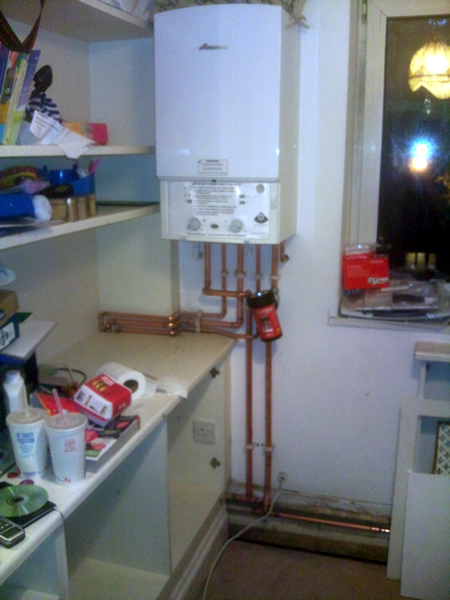 Magnaclean magnetic system filter installed to protect the boiler and controls from future debris. 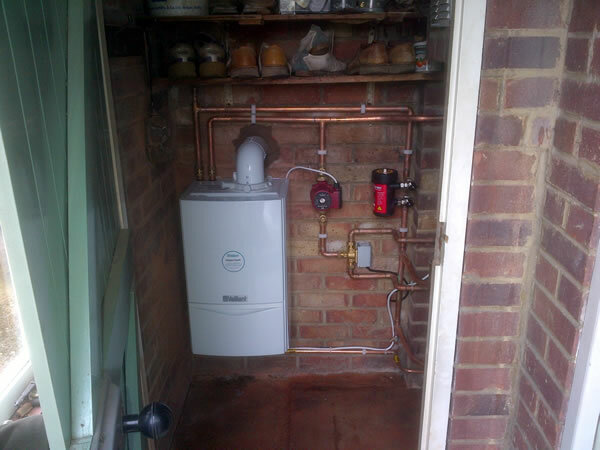 What a transformation from a 20 year old floor standing boiler and cylinder to a Highly efficient Vaillant and Megaflo system all hidden away in the Banstead loft! 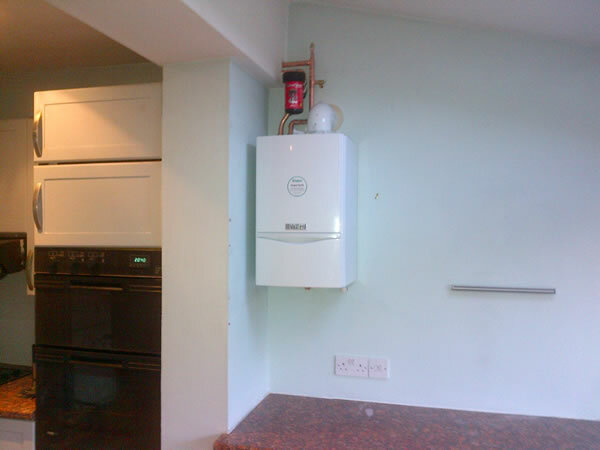 Worcester Bosch 30CDI Combination boiler installed in a Wimbledon Kitchen to replace an old Worcester boiler, with amazing aesthetics and performance, the customer was extremely happy with the result. A new ‘A’ rated efficiency back boiler replacement with very attractive and effective electric fire front operated by a remote control with a wide range of fire surrounds to choose from. Fitted in Morden. 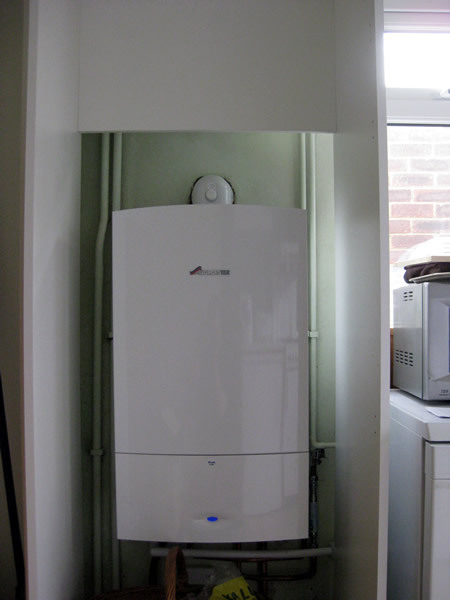 New Worcester Bosch 25Si Combination boiler installed in flat in Roehampton, Putney. New Honeywell programmable room thermostat and thermostatic radiator valves. 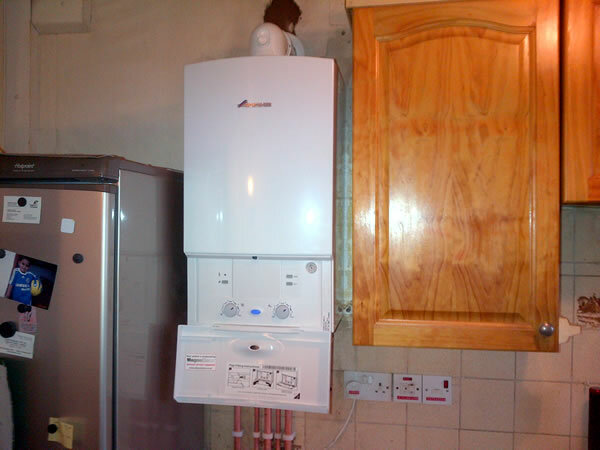 Here is a Worcester Bosch 30si combination boiler installed in a property in Worcester Park that replaced an old leaking inefficient boiler. 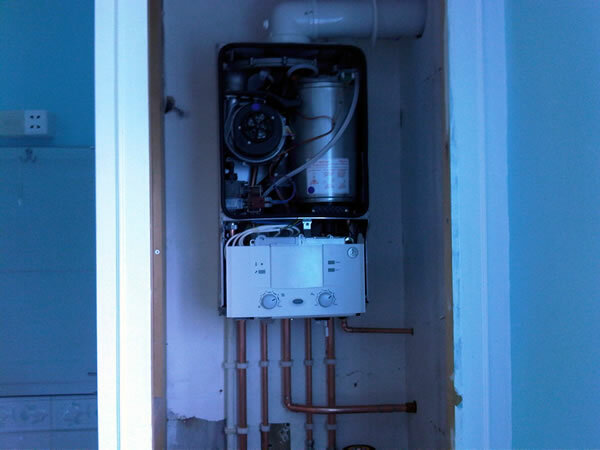 We use state of the art equipment when flushing our jobs, so once the new boiler is installed it works extremely well and we have been told many of times that the radiators have never been as hot. We had great feedback from our customer and they will definitely use us again.